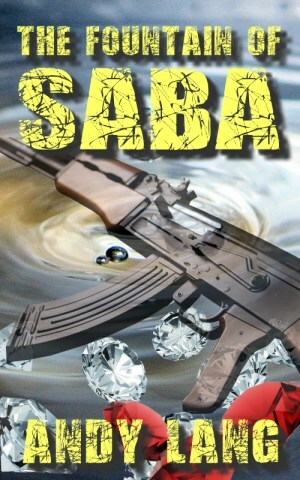 The Fountain of Saba and Tokoloshe have been combined into one bumper paperback. Parts one and two of the James and Ayana Preston trilogy available back to back in the same edition. The Fountain of Saba explores the legend of Makeda, the Queen of Sheba, and the intrepid explorers follow a trail of ancient clues that lead them ever closer to the ultimate goal. But James and Ayana have a dilemma! They wish to reveal long hidden secrets for the benefit of all mankind, their benefactor however, has more sinister motives, and the young couple find themselves immersed in history and revelations that should probably remain guarded secrets. A struggle between good and evil in the Ethiopian highlands, a tale of deceit and danger, friendship and betrayal, spirituality and discovery, damnation for some... and maybe redemption for others. Tokoloshe finds the couple settling into life together, and Ayana's desire to return to a life of adventure brings Doug Rutherford, a wealthy American forex trader, into their lives. A man who has a hidden agenda. A man who sees James and Ayana as his last hope. Presenting evidence and research suggesting proof that Nyami Nyami, the Zambezi River Goddess exists he piques the imagination of Ayana, eventually convincing the couple to head an expedition. Little do they know that Douglas has not been completely honest about his motives, and unbeknown to all, a sinister presence stalks the Rutherford family, a creature of Zulu myth, brought into existence by a witchdoctor, and bound to Doug in the most frightening way. Emotions run high as the Tokoloshe manipulates the expedition members, twisting reality, bringing jeopardy, temptation, lust and deceit. Testing the love that James and Ayana share, they must turn to evil, to defeat evil. Available exclusively from Lulu Publishing from the beginning of December 2015. The Crash – and updates.